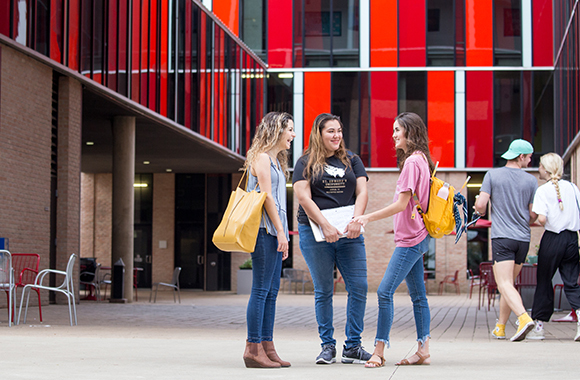 Living on campus means that you’re a short walk from everything you could possibly need: No matter where you live, you’re a short walk from resources such as the Health & Counseling Center and the recreation center. 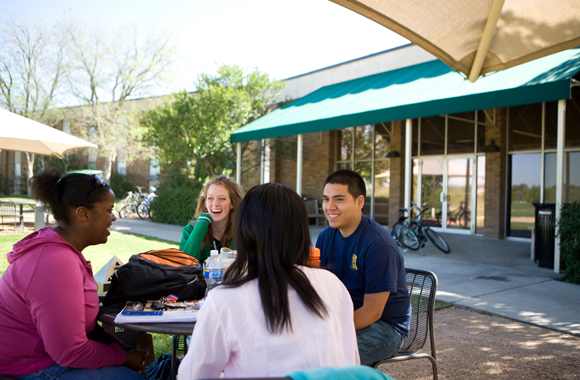 And meetings with professors, advisors and student organizations are convenient at nearly any time of day. If you work on campus, you’ll have, quite possibly, the shortest commute in Austin. Beyond that, there’s additional support and personalized attention within the respective communities. 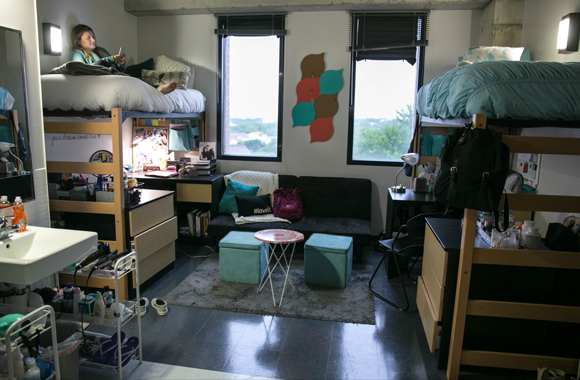 Resident assistants (RAs), who are specially trained upper-class students, live in the halls and help keep the buildings secure while also making them feel like a home. They develop activities to foster community and help students get to know one another, their school and their city. Students meet some the school’s best role models, who often become the first point of contact when residents need help or simply someone to lean on. But how do you decide where to live? 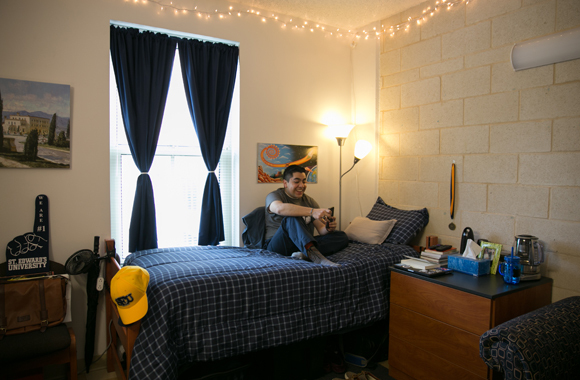 While all of the residence halls at St. Edward’s offer similar programming and access to the same resources, each has its own personality. The following are testimonials from students and RAs who have lived in the halls around campus to help you decide what hall is right for you. Best feature: The courtyards. Basil Moreau is surrounded by gorgeous courtyards that are tucked behind the building under a canopy of local Austin flora. They are an excellent, private place to study or hang out with friends while appreciating nature. Programming highlight: Movie marathons in the lobby. On rainy weekends or quiet nights, RAs will run movie marathons of favorites such as the Harry Potter series, Disney classics or Star Wars. Movies are always accompanied by popcorn or hot chocolate. Best feature: The lobby. Teresa’s lobby is the ultimate community gathering space — the perfect place to hang out and meet new people. 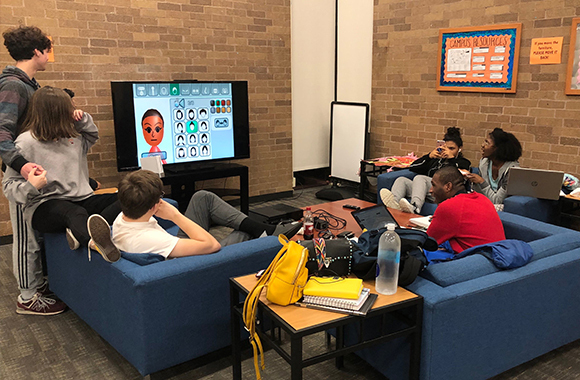 RAs make excellent use of the lobby for movie marathons or wii tournaments that keep the community engaged and interacting with one another in constantly exciting ways. Programming highlight: Jacques Jams. Every year, the Dujarié RAs put on a concert or open mic night for residents to show off their musical talents. Sometimes the concerts are holiday-themed and accompanied by an ugly sweater contest or hall decorating activities. Best feature: The game room. Equipped with a fully functioning kitchen, smart TV, and ping-pong and pool tables, this space is designed to host awesome activities including karaoke nights and the famous Jacques Jams concerts. It’s a lot like a family game room or living room where everyone gathers to enjoy each other’s company in a comfortable space. Programming highlight: Themed dance nights. RAs encourage students to dress up and have fun with themed dance nights (think 90s decade dance, Halloween dance, etc.). RAs provide snacks and great music that get residents out and relaxed from the rigors of school. Best feature: The lounges. The Village has several scattered lounges and one large lounge on the fourth floor. 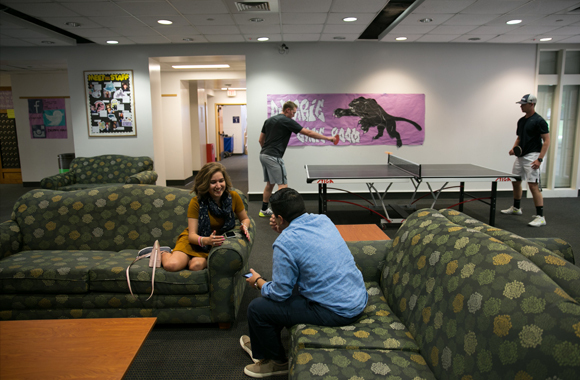 These spaces allow for more personal community building and give students a chance to interact closely with one another. From study groups to community service groups to movie-lovers groups, everyone is welcomed and given a space in this building.